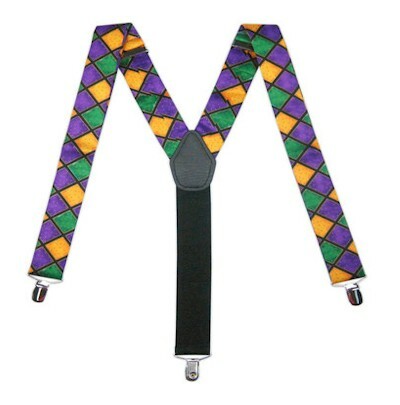 Mardi Gras Windsor Tie - Satin fabric Matching Satin Buttons, Waist and Neck Adjustment, Internal Elastic Waist Adjustment. 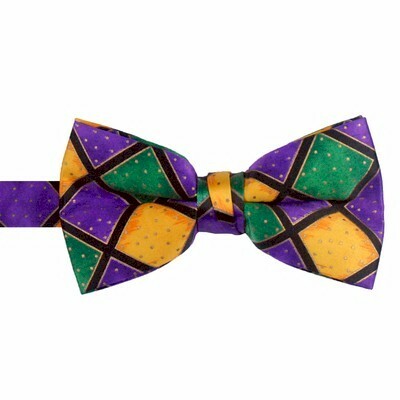 Whether you are looking for a Mardi Gras Windsor Tie or a black bow tie, you are in the right place. 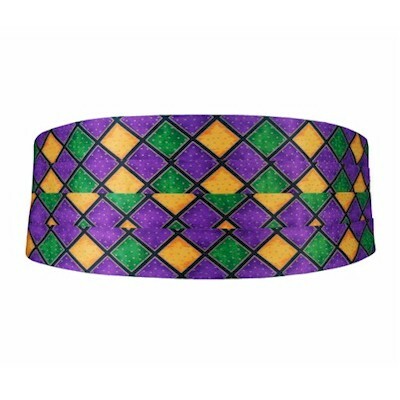 We sell Mardi Gras Windsor Ties at an affordable price with high quality at no extra cost to you. 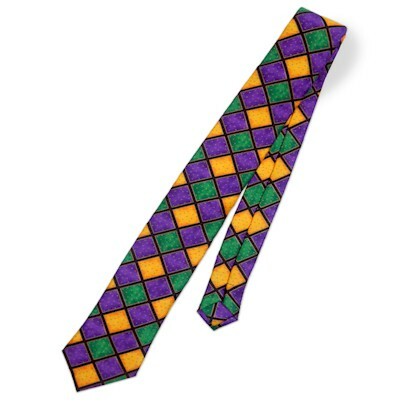 Mardi Gras Windsor Ties are a great way to add that special touch to your attire. 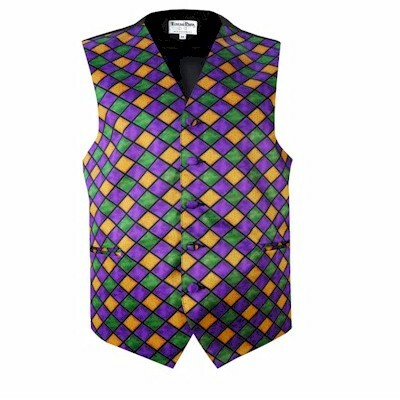 Affordable coordinating Mens formal wear accessories including bow ties, ties, suspenders, cummerbunds, vests, and pocket squares are available across the site and most items are made in the USA. 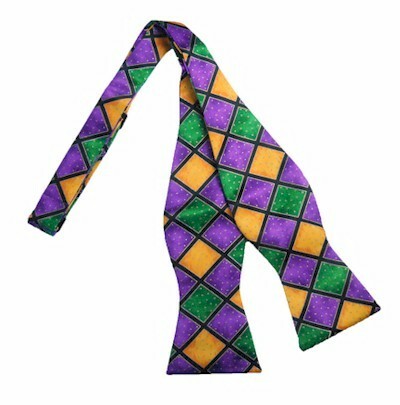 Please note that we offer Mens Black Bow Ties available in 1 ½ inch, 2 inch, 2 ½ inch and 3 inches high bows. We also offer Black Bow Ties for Boys / Kids.